"Chal Kalti Maar!" 10 Funny Words You'll Hear Only In Mumbai! Every city has its own flavor! Especially one with as much culture as Mumbai! The food they eat, the way people talk, the way they like to dress - all of it has a bit of the city they live in. 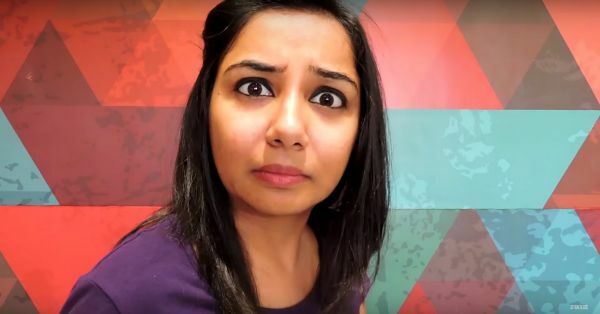 Which is why when MostlySane did a video about the words only Mumbaikars used, we thought it was totally spot on! Sure, not every person living in Mumbai uses these hilarious words on a daily basis, but we're sure they definitely get to hear them out and about in the city! Watch this video if you've ever been to Mumbai and heard something you didn't quite get! (Yes, you're not the only one in that category! :P) PLUS: Subscribe to POPxo on YouTube for original videos + our favourite videos from around the web! .be&t=1m10s MUST-READ: This Crazy “You vs Parents” Video Will Make EVERY Girl Laugh!! MUST-READ: This Crazy “DU Students” Video Will Make EVERY Girl Laugh!